Get the perfect gloss level with 1-Shot Clear Flattening Paste. 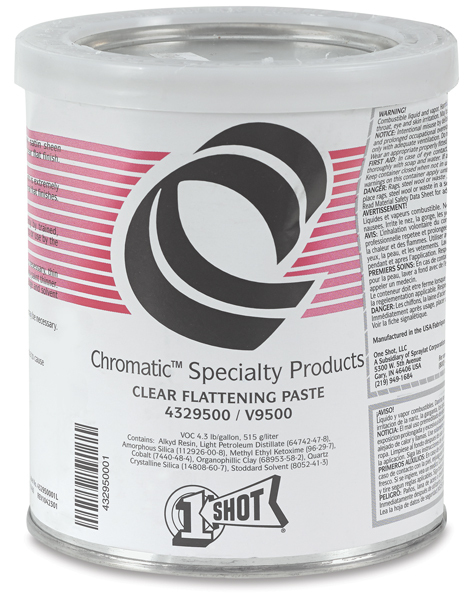 Great for murals, signs, or wherever a reduced gloss level is desired, this additive modifies 1-Shot Lettering Enamels. Mixed in a 1:1 ratio, the result is a nearly dead-flat finish. Lesser amounts of Flattening Paste yield varying degrees of gloss, from semi-gloss to eggshell.